It isn't clear whether or not the Baltimore Ravens will earn a right to play a 17th game this season, but it is now clear who will be running things from the sidelines next year. There has ben a ton up in the air for the Ravens, including future of their head coach. But now, the Ravens released a statement that Jon Harbaugh will not only be back next season, but that a contract extension is currently in the works beyond 2019. Harbaugh and the Ravens were once expected to mutually part ways, as the head coach was ​rumored to head back to college, but that doesn't seem mutual anymore after this tweet. Baltimore has remained afloat in this AFC playoff race and apparently has done enough to justify their head man sticking around a while longer. 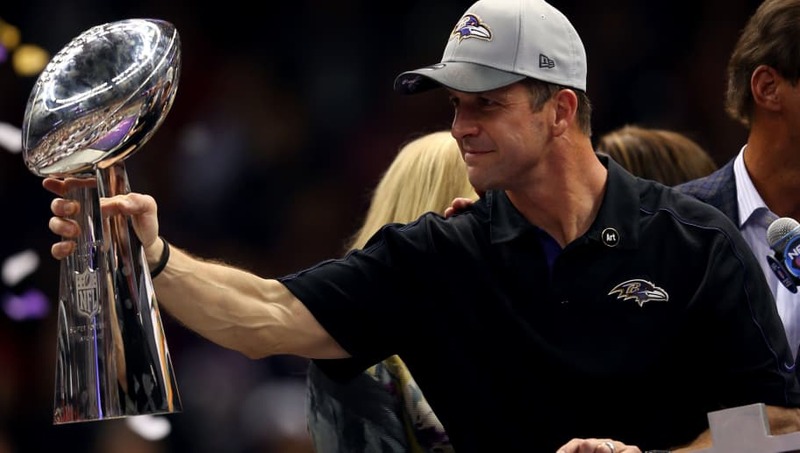 He's far from a bad coach, and has had success with this team, culminating with a victory in Super Bowl XLVII over his brother, Jim, and the 49ers. but you have to wonder how long this leash really extends. They'll finish .500 or better for the third consecutive season but, depending on how these last few weeks shake out, this may be the fourth season in a row in which they would miss out on postseason ball. It seems that no matter what happens with the rest of this season, Harbaugh won't have to coach for his job in 2019. That alone is positive-- even if it happened to be dumped on late Friday afternoon during "news dump time."